Orson Welles Complex | Support Us! You are here: Home / Support Us! 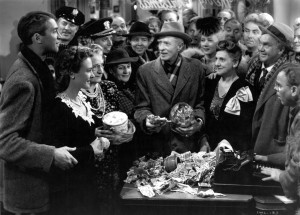 The folks of Bedford Falls knew. They were a community, and a community stands together. The Orson Welles was such a community, and still is. The Welles was a cinema, a film school, a restaurant, and more. Whether it was watching a movie, or meeting directors or making a film or simply eating a meal with friends, The Welles was brought people together. We were touched by it. We were a community. We were a part of something special. And yes, the Welles was special. Everyone who went there knew it. By going, we became “Wellesians”. We were touched by a place, experiencing rare moments in time that still echo. It was extraordinary. Its continuing impact, in our lives and within the world of film, makes it even more extraordinary. This extraordinary story needs to told. For us do that, we need your help. We can’t do it alone. Please consider donating to this film. Thank you. Use this link for a donation in any amount. For $2500 donation, “Benefactor” credit at end of film. For $1000 donation, “Contributor” credit at end of film. For $500 donation, Dinner with the Director, (he’s picking up the tab). For $275 donation, an exclusive, limited edition OWC Poster of Posters. For $100 donation, an official Orson Welles Complex T shirt. For $25 donation, an exclusive ‘Wellesian’ button. please see OWC Store for examples. To make donation a tax deductible donation through our fiscal sponsor Filmmakers Collaborative, please click on this link.